Simply stated. 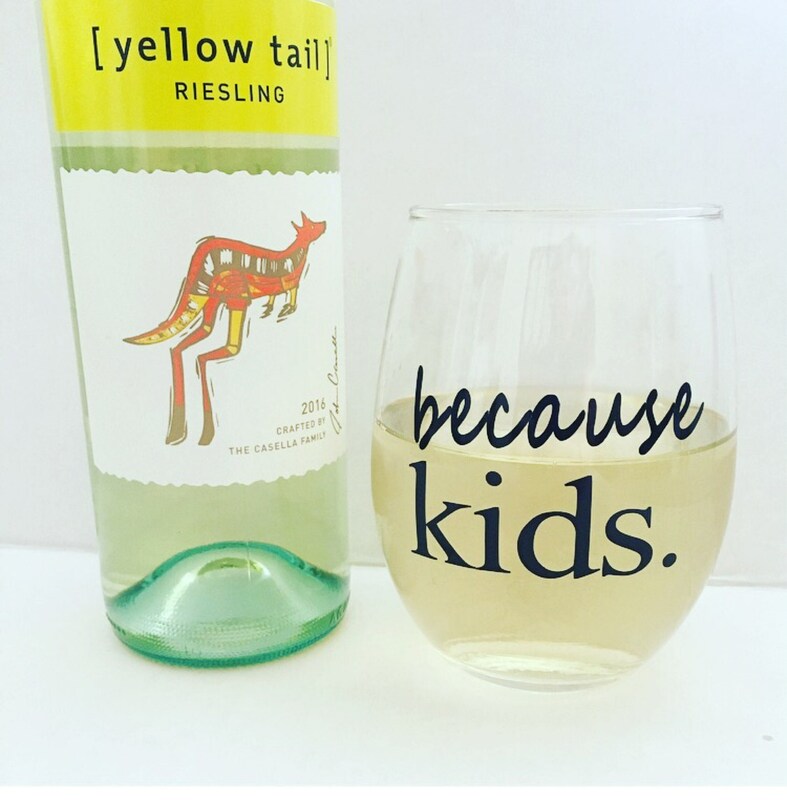 Because kids, there's a wine glass for that, and a big one too. 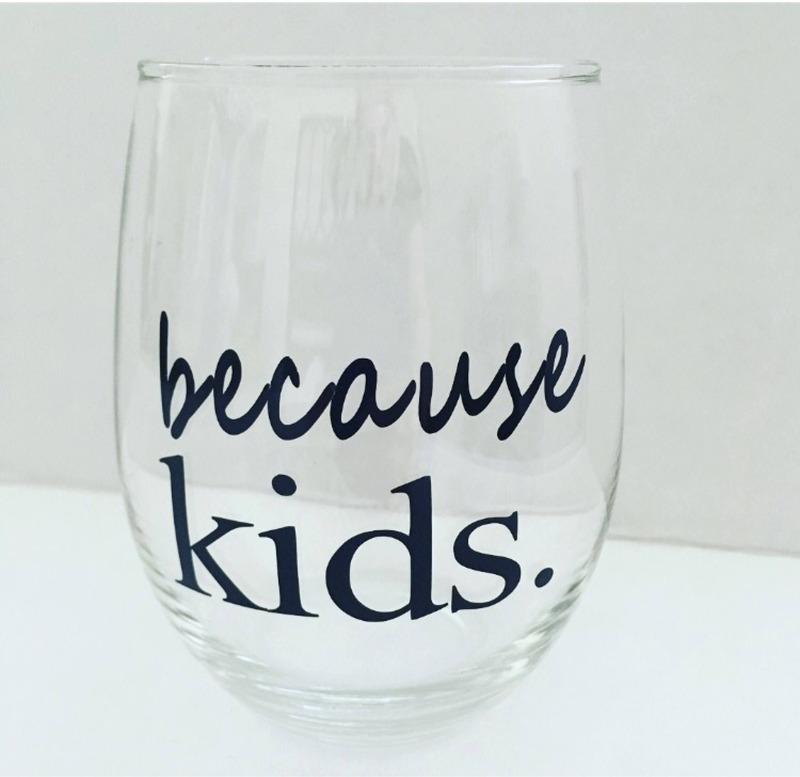 21oz wine glass with the statement "because kids." 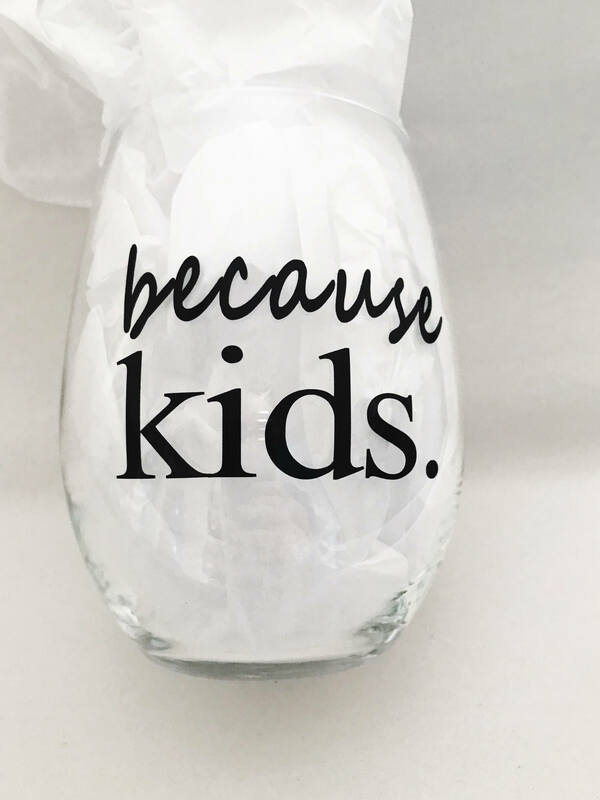 in black permanent vinyl. 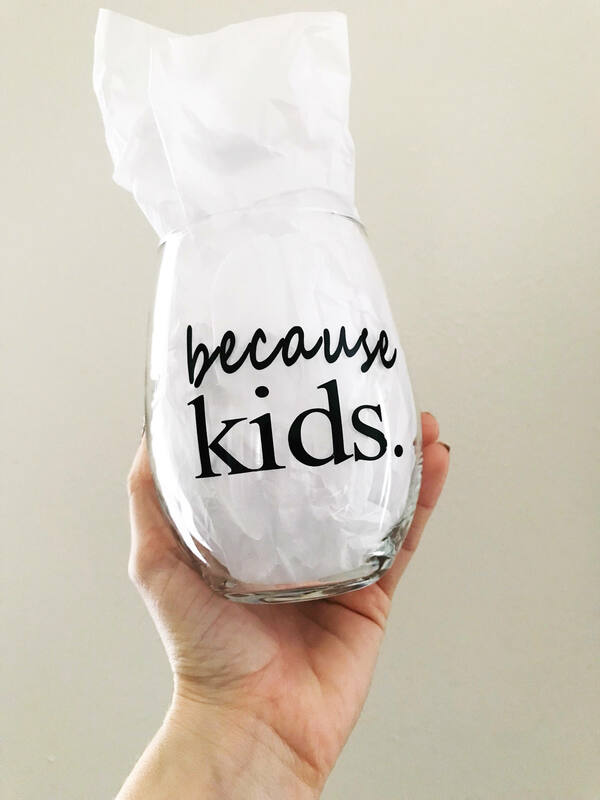 Perfect for yourself or as a gift for a mom who could really use a glass of wine! Custom orders are appreciated and welcome. 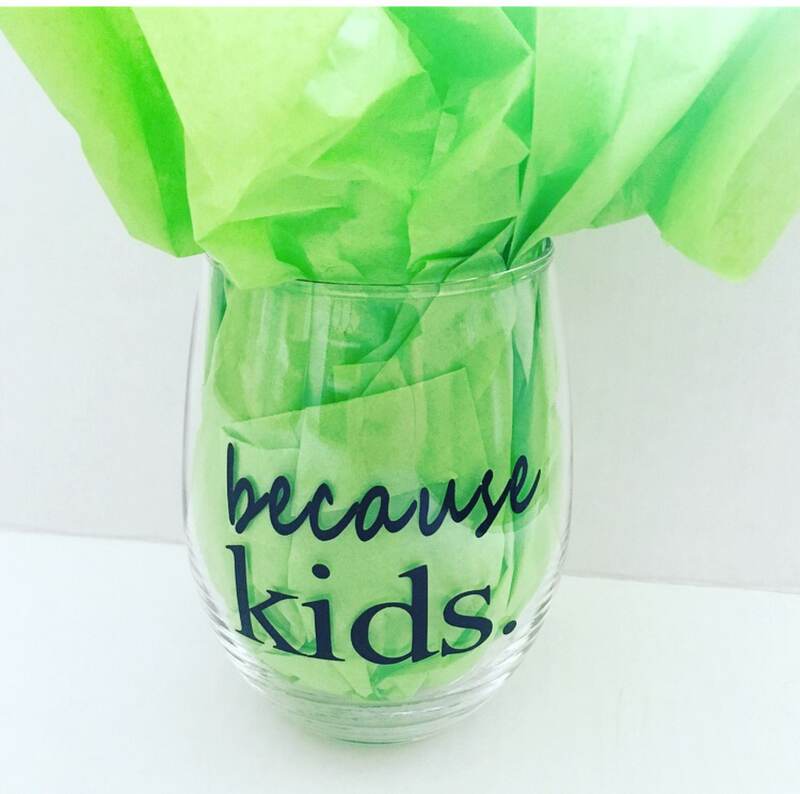 Please message seller with your custom request. Prompt shipping, arrived as expected.